Andrea Bocelli has impressed many fans of his music with a wonderful move these days. Prior to the release of the new album "Sì", one of the most famous Italian singers joined powers with his 20-year-old son, Matteo Bocelli, whose performance is a real balm for a soul. Together, they sang their new song "Fall On Me", and with the performance they had accumulated over a million views in just few days. 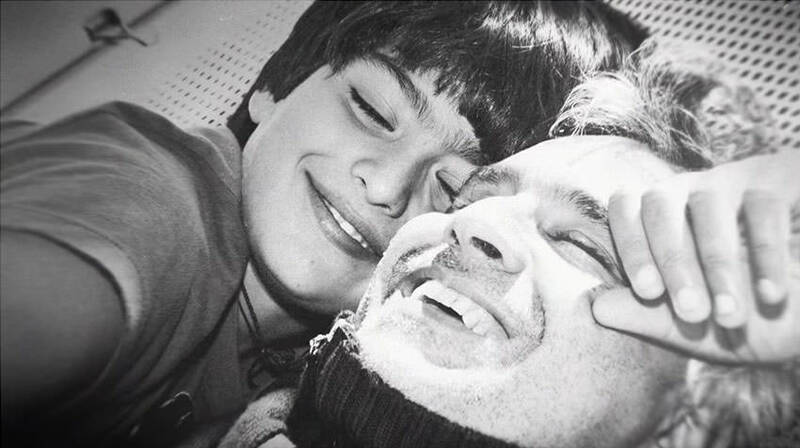 Andrea said that technically his voice and the voice of his son Matteo Bocelli are very different, but their expression through music is exactly the same. Italian singer Andrea Bocelli has been blind since childhood. In his youth, he still saw the color and the light, and then one day at the football game he got hit in the right eye. Since then, he has not seen anything. Doctors tried to solve his vision with many operations, but all were unsuccessful. Due to blindness, he found his consolation in music, and in 1993 Luciano Pavarotti invited him to perform together at his tour. 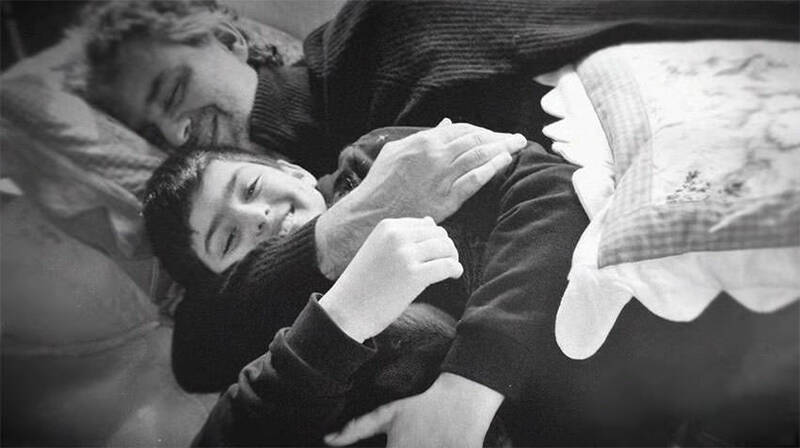 Andrea Bocelli said to the media that this song was the first one which he performed together with his 20-year-old son Matteo Bocelli. Listen to the wonderful duet, which has impressed many fans around the world. This is an appearance that you can listen for hours and hours! OMG, how wonderful is this......So moved me to tear. 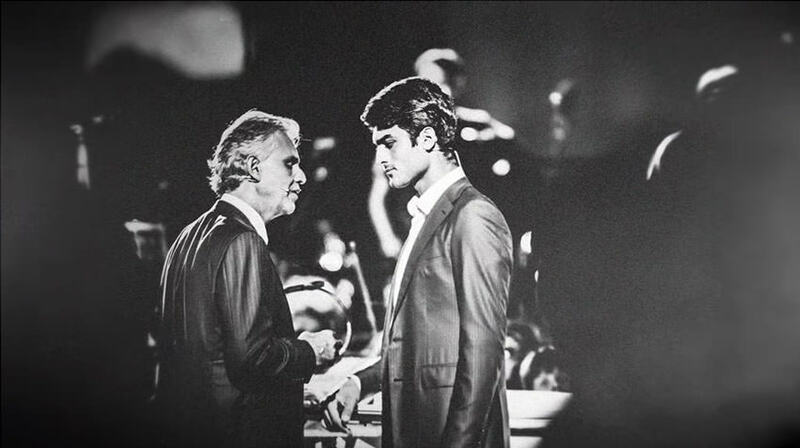 We love our children, but when they take up our career and are even better that we, the we can’t help but be proud and the love from within warms our souls..........How Awesome was this....congrats Andre Bocelli, I’m so happy for you and your son, and I will continue to enjoy the beautiful music of both of you. God bless. This does bring a person to tears. How beautiful this is. This is amazing ! Stops you in your tracks and makes you forget all of the stupid stuff going on in our USA circus world. This song sung together with Andre and his son was absolutely moving. What a beautiful father-son duet to express their love and respect for each other. I love, love , loved it!!! Absolutely gorgeous! A real tear jerker. The best!! despite his own problems,he has Been a goood father to them. ONE can see the love! This was so beautiful. Just wonderful and so wonderful to see the love between a father and son. LOVED IT. WOW! So beautiful. Just WOW! WOW!, this is just GREAT! it is singing, and music from HEAVEN! I wonder if they go on concert? I would go that both have God gifted voice. OMG! Have you ever heard anything more angelic? You can feel the love for each other pouring out of them. Brought me to tears! I could watch this all day and still have the same emotions. Wow...God blessed these two amazing voices. Could listen all day!! Father and Son so talented! Father and son piano duet puts me in mind of Eddy and Peter Duchin , except that in The Eddy Duchin Story, they played facing each other, not back-to-back. Absolutely beautiful! He is one of my favorites, have listened to many of his amazing performances! Every once in a while, with all the turmoil in the world, all the aggravation and hate,something like this seems to make everything right for a bit. Dolcissimo, quanto amore tra padre e figlio! How nice and what a testimony to us all. God continue to bless him and his son. We are so privileged to have our faculties and especially our sight. We have two sons and now two grandsons and to be able to see them is such a blessing. I love how the father smiles at him in the beginning...best part!! The love they have for each other is extremely endearing. wow, ora è quello che chiami un duetto e il sorriso quando suo figlio ha iniziato a cantare, l'orgoglio di quel sorriso è tutto ciò che serve. We need more duets with these two! Bravo! the smile once the music once the son started singing...pretty! Beautiful, so much talent!!!! His son is very handsome.